M-64s is expanded to EMEA region. Seiko Instruments GmbH based in Neu-Isenburg, Germany, announced that its ColorPainter™ M-64s and SX 3M ink is now part of the 3M™ MCS™ Warranty, which guarantees the performance of finished graphics, in EMEA (Europe, Middle East and Africa) as well. The company said its SX 3M Ink is a low-odour eco-solvent ink, providing rich and vibrant saturated colour output. 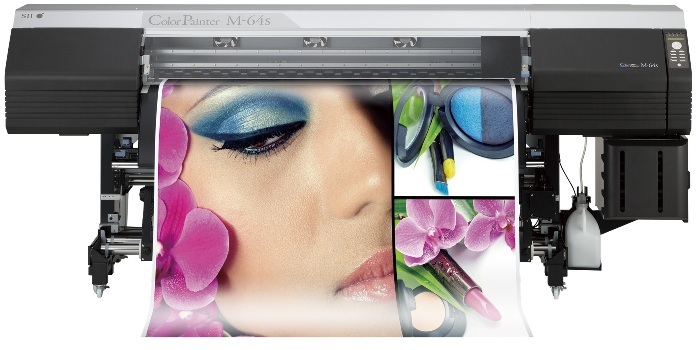 It added that the combination of SX 3M ink and the ColorPainter™ M-64s printer gives users a valuable tool for productivity, quality and cost effectiveness. Seiko Instruments market the ColorPainter™ M series printers as built for reliable operation in high-volume environments and maintain they offer industry-leading printing speeds. SX 3M Ink, now available in the EMA region through sales channel of Seiko Instruments GmbH, was made for use in the ColorPainter™ M-64s printer and is now eligible for be covered by the 3M™ MCS™ Warranty. Ideal for printing on many 3M-brand opaque, translucent and reflective graphic films, SX 3M Ink can be applied in fleet and vehicle graphics, indoor and outdoor signs, and promotional graphics.